Kenya is all prepared to spend USD 2.1 billion on electrification in off-grid areas focusing on renewable powered minigrids.As part of the nation’s 2016-21 strategic plan, the Rural Electrification Authority aims to install around 450 minigrids powered by solar sources. On the consumer side, it is estimated that about 25,000 to 30,000 solar PV products are traded annually in the Kenyan market and that at least every household has owned atleast one solar PV product. 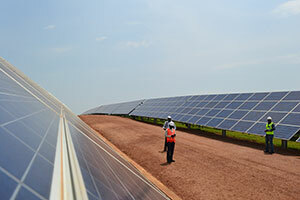 The 06th Solar Expo Kenya will not only serve as a platform in Kenya but the entire East and Central African region. The participation in 2019 is expected to rise by at least 30% owing to the ever increasing need of solar projects and products in Africa. While exhibitors from 14 countries participated in 2018, the figures in 2019 are expected to reach 20 countries.